Leopard is one of the stealthiest, smart, intelligent, and quick animals on earth. 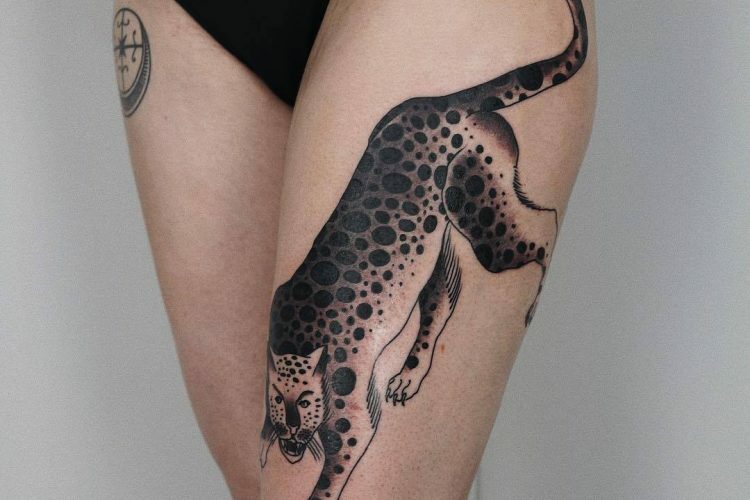 The meaning of leopard tattoo usually embodies several concepts. That includes the physical characteristics, the lifestyle of this animal, and the symbolism that different cultures have created throughout the ages. 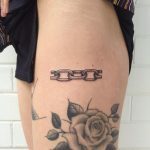 Before getting any tattoo, it is good to gather the information about its symbolism. Today, we are going to take a more in-depth look at the meaning of the leopard tattoos. 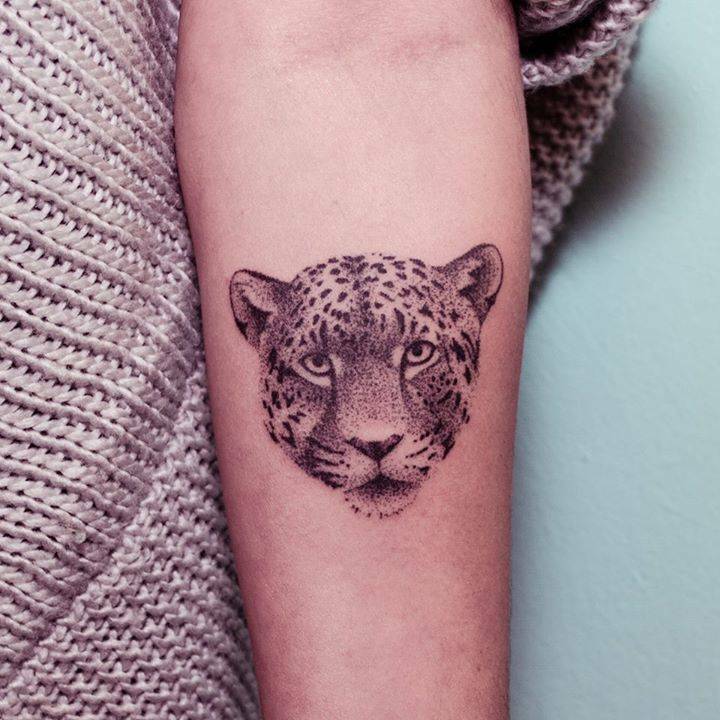 And as always – we also have collected the most beautiful leopard tattoo ideas, so be sure to check them all! The oldest evidence of humans and leopards interaction dates back to 6000 BC. In the southern part of Turkey, scientists found an old engraving that was picturing the goddess of fertility riding on the back of a leopard. We also know that in ancient Tibet, people were decorating weapons with a design that imitated the spots of the leopard. These spots represented female wisdom. In Africa, the strength and speed of leopard represent the qualities of an experienced hunter. Also, it is a symbol of social order and stability. During the middle ages, the skin of the leopard was an exceptional sign of luxury and symbolized power and wealth. At first, people believed that the leopard was a cross between the lion and the panther. Only later we find out that is an entirely separate species, and it also has nine subspecies. Throughout the ages, people both admired and feared the strength, power, and elegance of this beautiful animal. And we can also see that in ancient myths and legends, where leopard appears as both evil and sacred creature. Generally, people choose leopard tattoos because of the animal’s lifestyle. For example, leopards are solitary creatures, so they hunt, eat, and spend most of their time alone. Leopards only interact with each other during the mating season or when a mother is raising her cubs. But, this happens for a short period. After the mating ends, female and male leopards go on their way. Also, once the baby leopards reach the maturity (that usually happens a year after birth), the mother expels them to face life on their own. After that, mother leopard returns to her lonely existence. Many cultures believe that the Spirit of Leopard can travel between the physical and spiritual worlds. For example, in Central Asia, people think that the mountains are home to gods. Therefore, all the animals that live near those mountains are sacred and have a unique role as messengers between God and humans. One of these animals are the mysterious snow leopards. Leopards have a powerful stalking skill. They usually stalk their victims, gliding through the trees and steep rocks by using their outer front legs. Then, they slowly and carefully distribute their weight on the rest of the legs. By doing this, they avoid breaking twigs or rustle the leaves, thus alerting the victim of their presence. One of the many genetic features of the leopards that gives them an excellent sense of balance is their long tail. It is usually the same length of the body from the top of the nose to the end of the spine. It is heavy enough to work as a counterweight when necessary. The tail is a crucial element in leopard’s life. It provides agility and balance as the leopard moves through the foliage of the tall trees. We can find leopards in many parts of the world. If they can find prey, they will survive in the forest, savanna, jungle or rocky areas. They spend all night hunting and stalking, and during the day they rest in a safe place. So, as we can see, leopard is an animal capable of adapting to the environment. 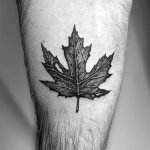 There are many reasons to get a tattoo, but you only need one. And it should be something special to you. Leopard tattoo doesn’t have to mean something ordinary. It is up to you to give your tattoo a meaning. But it can also mean several things. Or it may not mean anything at all. It can be just a beautiful piece of art on your body. Every day you look at your skin, and you see a gorgeous creature such as leopard. And then you remember how grateful you are for what you have and how beautiful is our world. Take a look at the ideas below. We are sure you will find the inspiration for your next tattoo.